If you are keen for an underwater adventure and would like to combine language and leisure, then you should join our Diving English course. You will learn from the best teachers both above and under water. Get together with like-minded students at the Cairns Language Centre, make new friends and discover the Great Barrier Reef. Come and see us at the Emigration Expo or contact us through this web-site to find out more. Come and see us at the Emigration Expo in Utrecht, The Netherlands on 10 and 11 February. 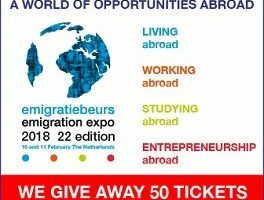 https://www.emigratiebeurs.nl/en/ https://www.emigratiebeurs.nl/nl/ The official Facebook event of the Emigration Expo 2018 is: https://www.facebook.com/events/429597437373263/ We are looking forward to seeing you in February. Please contact us if you have any questions or want to arrange a consultation.